"Private" time with Dr. B.
I found this book at a library book sale. I perused it, and noticed Dr. Brazelton used proper names for private parts. No problem. I bought the book, stuck it in the toy cabinet, and forgot about it. In our house, everything "down there" is private. It's generic, and works for both genders. "Wash your privates," I'll tell my kids in the tub. I like the word "privates" because it reinforces the nature of the area. When I talk to my kids about safety, the word "private" is a real winner. "Do you know why these are called "privates?" Because they're private, only for you. No one else can touch them." They understand this. They talk about it and remind each other. 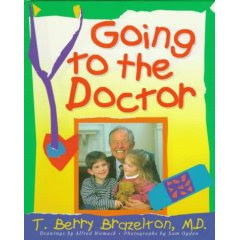 But back to Dr. Brazelton. This morning I found Chaya (7), reading the book. Her brow was furrowed and her lips were moving, trying to sound out unfamiliar words. It was a no-brainer what page she was on. Later in the morning, she came to me. "Mommy, I didn't understand some of the words." I realized we were having a pivotal moment. "Okay," I said. "What words don't you understand?" She opened the book and pointed to one, a little embarrassed. "No problem, sound it out." So she did. "Do you understand what that is?" I asked. She pointed to her privates. "That's actually the name for a boy's private part." She made a silly face. Then she tried another one. I had to suppress a laugh as I whispered the correct pronunciation. She whispered back, "At first I thought the word was veggie." We laughed. I asked her, "Which words do you like better? Would you like to use the real names, or do you want to stick with "privates?" She was thoughtful for a moment. "I like the word "privates." It's more tsnius (modest)." I was impressed. "I think you're right," I added, "The words you just learned are also private. Don't go sharing them." She said she wouldn't. This was a positive experience for both of us. My friend called me last night, the one I mentioned a couple of posts ago. I hadn't spoken to her in awhile (I was afraid to call!). I finally mustered up the courage to ask if I had upset her. She wasn't upset, and she wasn't particularly shocked or bothered by what I told her that day, either. Which was so refreshing, so liberating to hear. I realized that I still have pain and shame over my past mistakes. I projected my self-loathing onto my friend, assuming she was as disgusted with me as I am with myself. It simply was not true. She responded to me with great love and compassion, a most nurturing balm. I also think that the projection I made onto her was from an ego-place. Had I not gotten so absorbed in my own view of the situation, I could have seen it from a larger perspective. It was so healing to talk to her, a wonderful part of yud beis-yud gimmel tammuz. I am so grateful that G-d gave me this friend, and this learning experience. Maybe I had to go through this head trip to arrive at a place of greater clarity and joy. Today is the birthday of the Frierdikker Rebbe, the previous Lubavitcher Rebbe. It is also the anniversary of his release from Soviet prison. One of the Frierdikker Rebbe's legacies was his mesirus nefesh (self-sacrifice) for fellow Jews. At a farbrengen this evening, the speaker said; "If someone tells you, jump from the roof to the ground, okay, this can be done. But what the Frierdikker Rebbe did was jump from the ground to the roof. His mesirus nefesh was not normal, the things he did were impossible." He worked tirelessly in Soviet Russia, helping Jewish life as it was forced underground. For his efforts he was harassed, jailed, and beaten. One of the things the Frierdikker Rebbe said was, "L'alter l'teshuva, l'alter l'geula." "Immediate return (repentance), immediate redemption." He believed (and publicized) that when Jews return to their purity, Moshiach will arrive. Such an effort! How much work must each of us do to uncover our purest selves? Yet, I think the Frierdikker Rebbe reminds us that this can be instantaneous. Friends are very important to me. I don't feel I experienced real friendship until I went to yeshiva. I mean, I had acquaintances. But a real friend? A deep, soul-sister kind of friend? Not until then. My criteria for a friend is someone who is intelligent, deep, and sensitive. The main thing I look for is someone whom I can be emotionally intimate (and ultimately fearless) with. I want to be able to tell my friends about my anxiety. It's no chiddush that I'm anxious - yet believe it or not, not everyone knows. And even the people who do know, they don't necessarily know what "takes me there." With a friend I want to say, "this is who I am, these are some of the mistakes I've made, this is my pain." So I have this friend, and I really like her. She's a deep thinker, and we always have intense conversations. She herself admits to being an intense person, and knows that not everyone can appreciate that about her. But me? That's my kind of woman. Anyway, a few shabbosim ago I took her to places in my life that I think freaked her out. I'm not sure about this, which almost makes it worse. I mean, we talked about it, and it was fine while I was there, but it's the aftermath that leaves me confused. I used to call her on the phone and she'd answer with caller ID delight. But since then, I haven't heard that joy from her. I wonder if I'm not the person she thought I was. Maybe I'm imagining all this? I desperately want to say to her, "You mean the world to me, our friendship is so precious. Did my confessions disturb you? Is my dark underbelly so dark that you don't want to be my friend anymore? I'm not that person anymore, please believe me." But I'm afraid. I'm afraid because maybe that's a boundary I shouldn't cross. If she does feel that way, maybe she wants to keep it to herself. Maybe I would be violating her privacy to even ask. And I'm afraid to ask because what if it's true? I don't think I could take it. I mean, I guess I could. I'm a big girl, I've had friendships change, and drift. I've lost some. I've hurt people and I've been hurt. I suppose we all have. But this friend? It would pain me terribly. I'd feel like my past is so dark that it muddies the person I am today. ...and that makes me ashamed. Yaakov is very close with a certain chossid in our shul. This man's teenage daughter - in the sad humor of yiddish - is "frei." She's chosen not to be religious. I don't know her too well, but I see her self-destruction and I can relate. Yesterday, after a children's rally in shul, I took my kids for pizza. I saw her walking down the street, wearing tight jeans (and a tighter halter top). I drove around the block to catch up with her. I rolled down the window. "Chaya Mushka? Is that you?" She smiled hesitantly and nodded. "I'm Mrs. Maven, remember me?" She nodded again. "Do you know it's gimmel tammuz?" She shook her head no. "Well it is, it's the Rebbe's yahrzeit." I could tell she wanted to get away, but I plowed on. "You know, the Rebbe said that all we need is more goodness and kindness for Moshiach to come," She just stood there. "Do you want to come for pizza with us?" I blurted out. I didn't care how crazy it would be to shlep this hottie into the pizza place. She shook her head no. "I'm sorry, I just ate," she said, "and I'm going to the mall. I'm meeting people." I watched her go. Maybe it's for the best that she didn't come. How would I explain her to my kids? And not just my kids, but to the other moms and kids we were meeting there? How would they feel? It would be awkward, without question. A mashpia once told me, "You're full of chesed, but you don't have the keilim." In other words, I'm kind - but I don't have the tools to actualize the kindness. I want to help her, but I'm not sure how. And I'm not sure I have the ability to, either. My mom likes to tell a story about my stepfather. They owned a dry-cleaning business together, and he'd flirt. Women would come in and he'd say, "hey, what time you getting off work?" One of the ladies called his bluff. "No no," he stammered, waving his left hand in the air. "I'm married, see?" But she kept at it, making him more and more flustered. My mom thinks this is the greatest story about her man. Oh, how faithful he was. Wasn't it funny he had to point out his wedding ring? Personally, I find the story disgusting. I feel my stepfather's lack of boundaries ruined my childhood, and I've never forgiven him for it. I've gone to his grave many times. I've tried to talk it over with him. I'm an adult now, with my own flaws. I have my own menagerie of sins and pain. I don't understand why I simply cannot forgive him. Is it because I consider this his problem, and not mine? This morning Zalman was running around, endearing himself to everyone at Weight Watchers. One man took a picture out of his pocket. "Yep," he drawled. "Ten grandkids I got. And two great-grandkids! How old's your son?" I smiled and told him that today was his first birthday. "That's wonderful!" He drawled. "Enjoy every moment, it goes by so fast." It's easy to say when you're on the other side, but I'm in the trenches. I'm the one cleaning poopy underwear. I'm the one worried about dinner. I'm the one folding tons of laundry, reminding them to brush their teeth, putting them in time out when they bite each other. I'm the one who has to tell them 20 times to get buckled in. But I'm also the one who gets cards, pictures, and kisses. I'm the one who gets snuggled. I'm the one who gets to go to school performances, who sheps nachas from glowing report cards. I'm the one who gets to tuck them in. I'm the one who gets accolades for a good dessert. Sometimes I dream of Yaakov and I being old. The kids are grown (all 15 of them). I've got a gray sheitl and he's got a white beard. We're on vacation, surreptitiously holding hands. And I'll see a young mother go by, pushing her stroller. The thing at the library yesterday was actually a K-9 presentation. Two cops and their big german sheperds. And kids. Lots of kids. What got me thinking was something I learned there: the dogs cannot receive affection at all. It would decondition them from their "tough-dog" working life. One cop said when he walked his dog, kids would come up and want to pet it. He had to explain to them how they couldn't, that it was a work dog. Can't have the dog getting friendly, it has to attack escaped convicts. So this started spinning a lot of gears in my head. Is that fair to deprive an animal of physical affection because of its job? Do animals truly need that affection, or is that a human trait we lavish on them? And is it fair to put dogs in that position, to sniff out cocaine and murderers? And this all ties into Brave New World (which I did check out, despite my absent wallet). I devoured that book, I haven't read it in years. It's a book about - amongst other things - societal conditioning. In Huxley's bizarre "utopia," people are genetically modified to fill the roles in society they are destined to play. They are then further trained and conditioned (like the K-9's?) to meet those goals. p.s. Aldous Huxley requested 100 micrograms of LSD as he lay dying. I took my kids to the library today for a special presentation. Then I went to check out a book (Brave New World, Aldous Huxley). No library card! No wallet! I figured I musta left it at home, as I used it this morning (ordered dad's father's day present online, needed insurance info for dr's appointments). Alas, I cannot find it. I'm starting to freak out. I mean, the only license photo that I've ever looked good in is inside. You are wretched and disgusting. Why, why, why did you insist on pulling a PDA at Wal-Mart? If I wanted to watch people slurping each other, I would buy a television (at Wal-Mart, how convenient). I hope you contracted some creepy Wal-Mart germs during your copious saliva exchange. Remember, you are vile scum. Yaakov and I were watching a documentary about the civil rights movement. 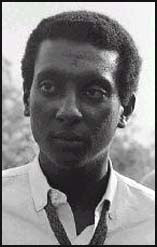 Stokely Carmichael was speaking about the U.S. government drafting young men for the Vietnam war. He yelled, "Keep your filthy white hands off our beautiful black kids!" It riveted me. I felt this sensation well up inside me, like a roar. It was awesome. He was awesome. So I have this old camp trunk at the bottom of my closet. It's where I keep my secrets and treasures. It includes diaries, the dress I wore when I met Yaakov, and things from my pre-frum life. Some are very personal. Last motsei shabbos, Yaakov and I got a babysitter and went out. The babysitter is a very aidel girl, kind and trustworthy. However, in a fit of paranoia, I decided to lock the trunk (nevermind the fact that it's at the bottom of my closet). This morning, Zalman was playing there as I was getting ready to leave. All of a sudden, I see him holding the lock. How did he get that off the trunk? I saw its numbers turned into "unlock mode." My mind started spinning. Did the babysitter go into the secret trunk? Is she a Houdini who can figure out locks? Did I simply forget to lock the trunk? OMG!!! I left the trunk unlocked! With my secrets! My diaries! What if...? I tried to reconstruct possible scenarios. I brought Zalman over to the trunk, to see if he could somehow grab the lock. He couldn't. After reviewing several options in my mind, I came to the horrible conclusion that I must have left the secret trunk open. There is NO way the babysitter went into the trunk. NO WAY! Stop being a paranoid fiend! 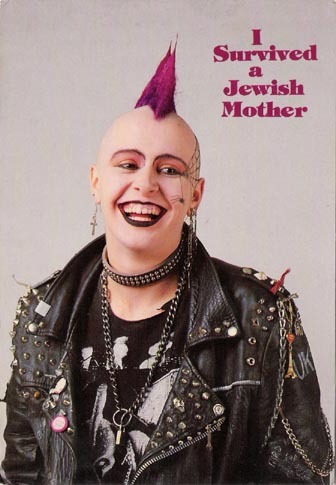 She's a holy Jew, how could you even think such a thing?! Another part chimed in: So what? So what if someone knows all your secrets? Everybody has secrets and shame. It's part of the human experience. I thought of a Ram Dass quote; "Once you realize G-d knows everything, you're free." Okay, I thought. G-d + babysitter. I was running to Rivky's kindergarten graduation. I got us into the car and called Yaakov frantically from my cell phone. Yaakov: Oh yeah, I forgot to tell you. I went in there to get an old tie-dye to wear while mowing the lawn. Me: (heart racing) YOU DID?!!?? It was locked when you got your shirt and you left it unlocked? Me: (OCD conniption fit) You're sure it was locked when you got the shirt? 1. I shouldn't project things onto other Jews. 2. I shouldn't be so paranoid. 3. Time to get rid of some things in the trunk (The Rebbe says you shouldn't have things in your home you're ashamed of, even hidden away). Wendy posted something that made me reflect on my own life. In her post, she discusses her boys growing and becoming less dependent on her. Well, mine's along the same vein. Sort of. I started "sleep training" my Zalman about 2 weeks ago (a euphemism for letting him cry himself to sleep - sigh). It's killing me on so many levels. He's 11 months old, and I've long been wanting him out of my bed. I was waking up with his feet in my face! And it wasn't only that. I'd nurse him to sleep, and if I wasn't going to bed too, I had to listen like a hawk so he wouldn't crawl off the bed (we had a few close calls). Anyway, we bought a pack-and-play and started him in it. And then I'd pull the Ferber drill: I'd let him cry for 10 minutes and then comfort him. Ten minute increments: cry-and-comfort. I hated that - It killed me. I kept reminding myself of the safety factor: as much as I had my own reasons, I had to make that one paramount. He's in-routine with it now, and generally doesn't cry when I put him down. Sometimes he just turns on his side, and goes straight to sleep. And he'll sleep all night! Victory! BUT...it basically killed our nursing relationship. I wasn't nursing much anymore, just at night and at get-to-sleep times. But now that he's not in my bed, and since I'm not nursing him to sleep anymore, it's over. I wasn't prepared for how terribly sad this makes me. I'm shocked, almost. I don't remember feeling like this with my other ones. Sometimes I want to just pull him into bed with me. It was such a yummy feeling to snuggle next to him and nurse, falling asleep to his baby-snores. But I can't turn back. I feel it would be detrimental to him, and usurp our new routine. I still love him to death, and smooch him all day long. But this part of our lives is, sadly, over. I fear I'll always miss it.